721 Robert St is a 13 minute walk from the 12 St. Charles Streetcar at the St Charles + Bordeaux stop. 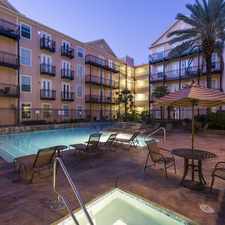 This apartment is in the West Riverside neighborhood in New Orleans. Nearby parks include Lawrence Square, Danneel Playground and Gilmore Park. 721 Robert St has a Walk Score of 88 out of 100. This location is Very Walkable so most errands can be accomplished on foot. 2 Bed/1 Bath residence in the uptown neighborhood within walking distance of schools and public transportation. Explore how far you can travel by car, bus, bike and foot from 721 Robert St.
721 Robert St has good transit which means many nearby public transportation options. Car sharing is available from WeCar and RelayRides. 721 Robert St is in the West Riverside neighborhood. West Riverside is the 11th most walkable neighborhood in New Orleans with a neighborhood Walk Score of 86.